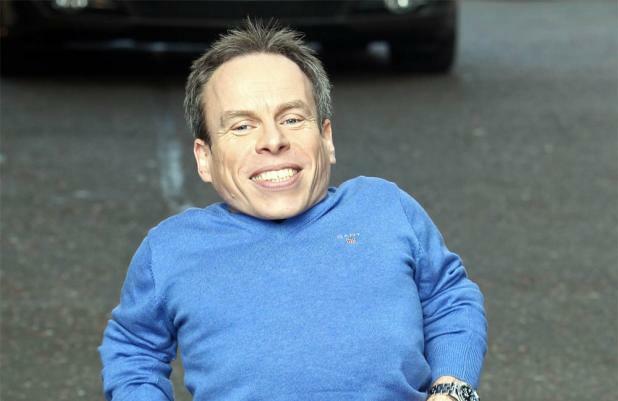 Warwick Davis would rather have a future in 'Star Wars' than 'Harry Potter'. The diminutive actor has had roles in both franchises but insisted he would rather return to his roots with the science fiction sagas upcoming new trilogy rather than the new wizard series based on JK Rowling's book 'Fantastic Beasts and Where to Find Them'. Warwick - who played Ewok, Wicket, in 1983's 'Star Wars Episode VI: Return of the Jedi' and had three small roles in 2001's 'Star Wars Episode I: The Phantom Menace' - admitted it was a tough choice but stuck to his guns. Speaking to the Independent on Sunday newspaper, he said: "If I had to choose between a new 'Harry Potter' [film] or a future 'Star Wars' ... Hmm ... It's a tricky one. "But I would have to go with the planned 'Star Wars' films by [director] JJ Abrams. It's where I started and it would be wonderful to be part of the new trilogy." The 43-year-old star insisted his role in the last film of the original 'Star Wars' trilogy was his defining moment and a life-changing experience. He explained: "My life changed when I got a part in 'Return of the Jedi'. I'd already seen 'Star Wars' when I was seven, so it was a powerful experience being 11 years old, and seeing the actual film set and meeting my heroes. "I was intrigued to see how films were put together and edited, and it was the first time I had come face to face with other little people. It made me realise I wasn't alone."